One Hell of a Valentine's Day Book Release Party! Art Show - By Atlanta Photographer Paul D. McPherson Jr. The Artist Behind the Photography of "F*CK FAILURE SEDUCE SUCCESS"
Book Reading - By Atlanta Sound Artist Danielle Hall AKA Dani Vox, The Voice Artist Behind the upcoming audiobook version of "FFSS"
Live Music - By Atlanta Musician Andrew Boring, playing originally composed jazz score for "FFSS"
Grab a copy of "F*CK FAILURE SEDUCE SUCCESS"
"S.A. GRANT has a way with words. These words will stir you up on the inside... in a good way and have you open up your mind to the endless possibilities at being successful in your own right. This book is not just interesting, it's motivating and definitely captivating. This is a must have for the entrepreneur." 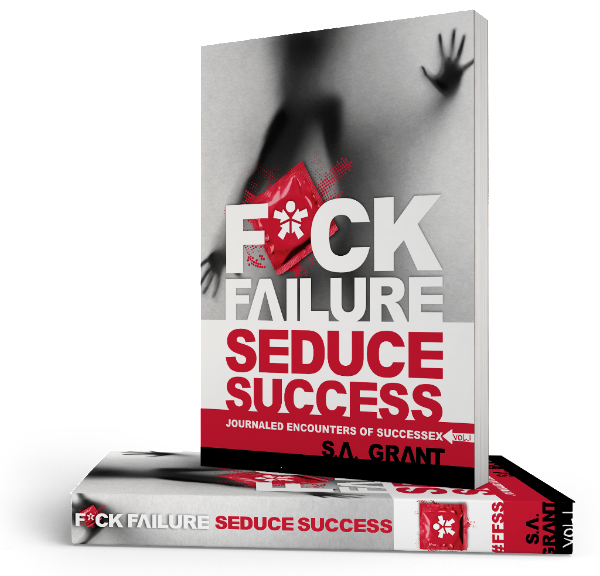 "A raw, free-flowing and honest road map to success in business and life. The author's passion is infectious and reinforced through well placed quotes and anecdotes. You'll want to read it in one go!"